How is it already the middle of September? Time really does fly and it has seem to be going extra fast here lately. Let me begin by saying thank you for all of the wonderful thoughts and sentiments on my last post. I received several comments, emails, and texts from various people telling me that they too have had some of the same thoughts that I wrote about. It is so nice to know that I’m not alone and that other people have gone through similar struggles. After my post, I received a message from a gal that I knew in high school telling me that she felt my struggles and offered to start exercising with me. I was elated that someone was willing to get up super early with me so that if I wanted to exercise in the dark mornings before school then I would have a partner to keep me from harm. It is pretty scary out there in the morning time. The fact that I get to have adult conversation before work is a big motivator when my 4:00 alarm goes off in the morning. 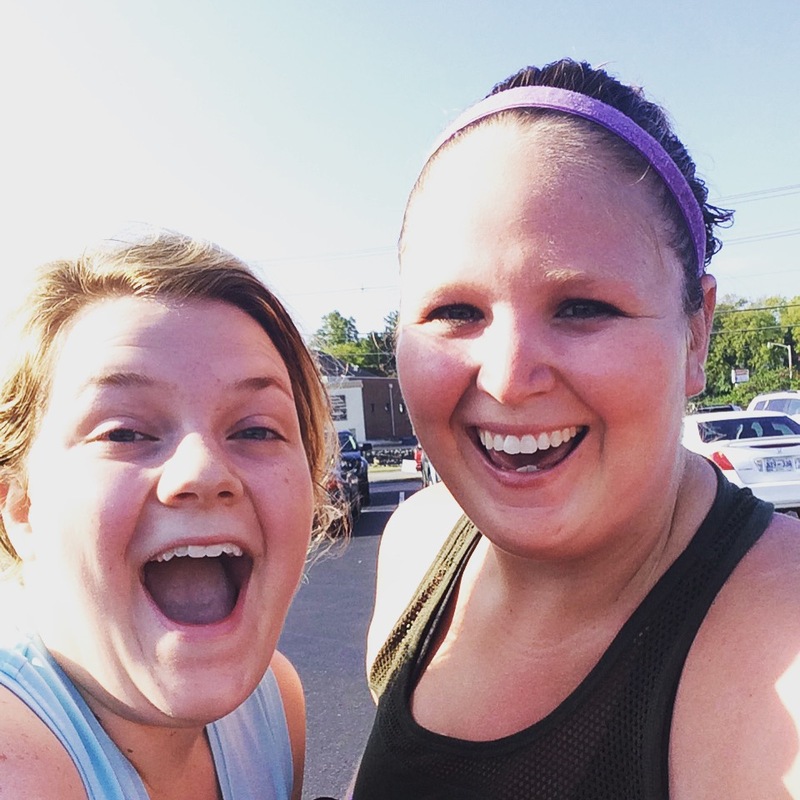 She even joined the same gym that I go to so now we can take lots of fun fitness classes together. I’m very thankful for new found friendship and a new workout partner. Teaching has been a great experience for me thus far. I often feel overwhelmed and stretched fairly thin, but having a group of 90 kids each day makes it all worth it. My coworkers are fun and lively people, and I enjoy going to work each day. We recently had Spirit Week at school which allowed us to dress up for each theme day. 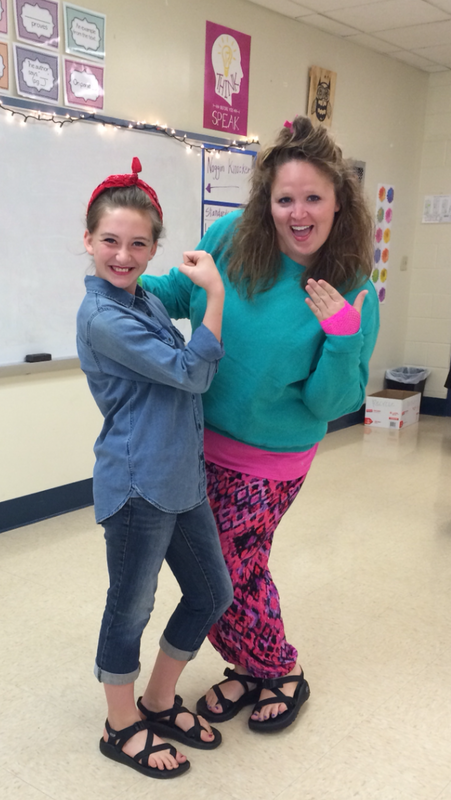 My favorite day was Decades Day since I got to have some crazy hair and comfy 80’s clothes. 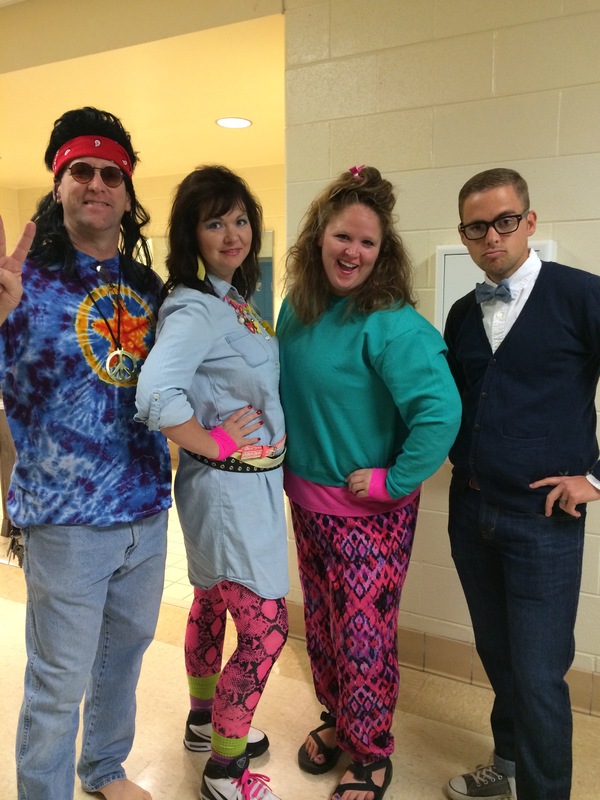 Our kids were probably mortified to be in the presence of such tackiness, but I think they secretly loved it. do you feel sorry for our students? 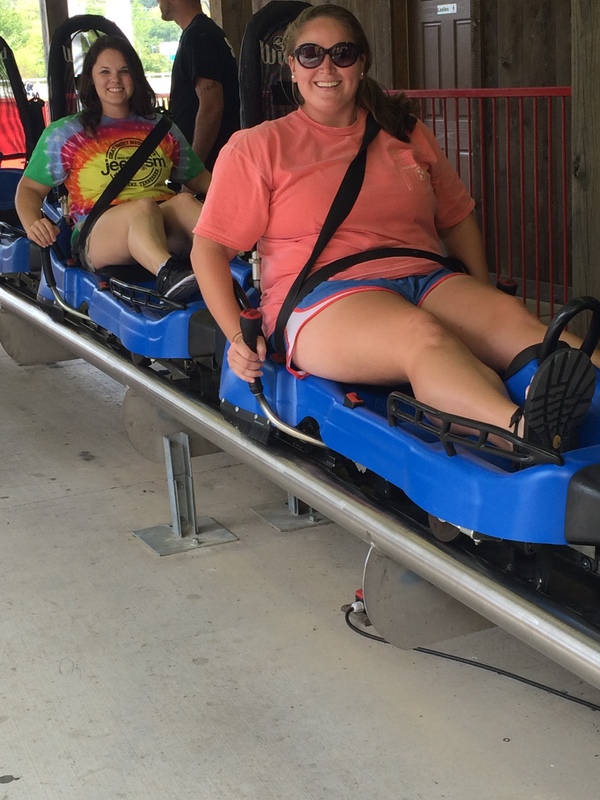 Our friends Brittney and Cameron came up to visit us a couple of weekends ago and we loved having them here! It was their first time to Townsend, so we had so much fun “playing tourist” and showing them around town. 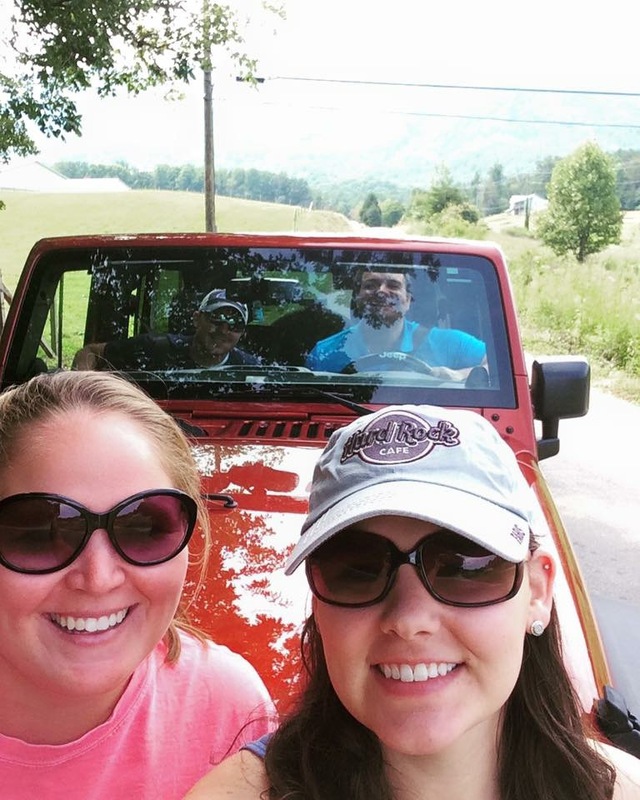 We did a little off-roading in their Jeep, drove all over the beautiful Townsend countryside, rode two different Alpine Coasters, and had some delicious food. We love the time we get to spend with them and it was even better that they got to see where I grew up as well as us doing things we normally wouldn’t do since we are local. My handsome fella and I will be traveling down to Chattanooga next weekend to spend some time with them and to volunteer for Ironman Chattanooga. It is going to be a lot of fun. 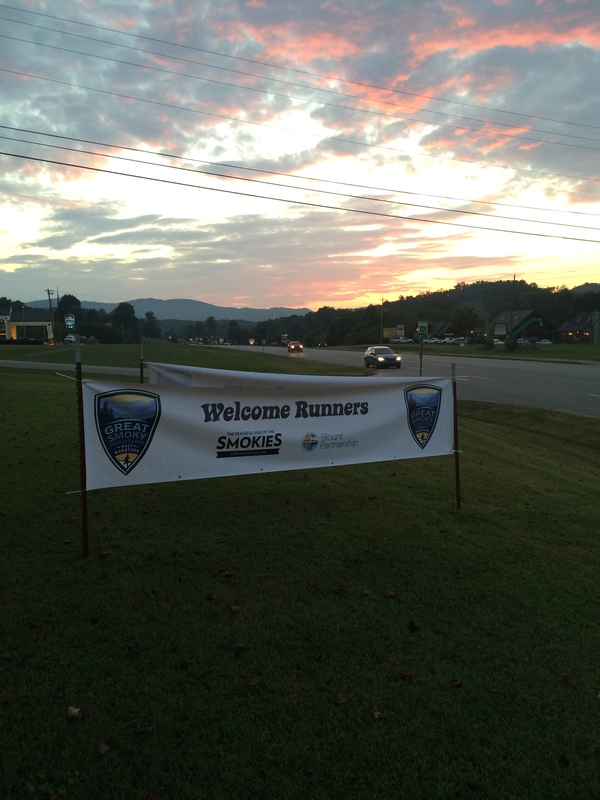 This past weekend I did the Great Smoky Mountain Half Marathon that was put on by Vacation Races. 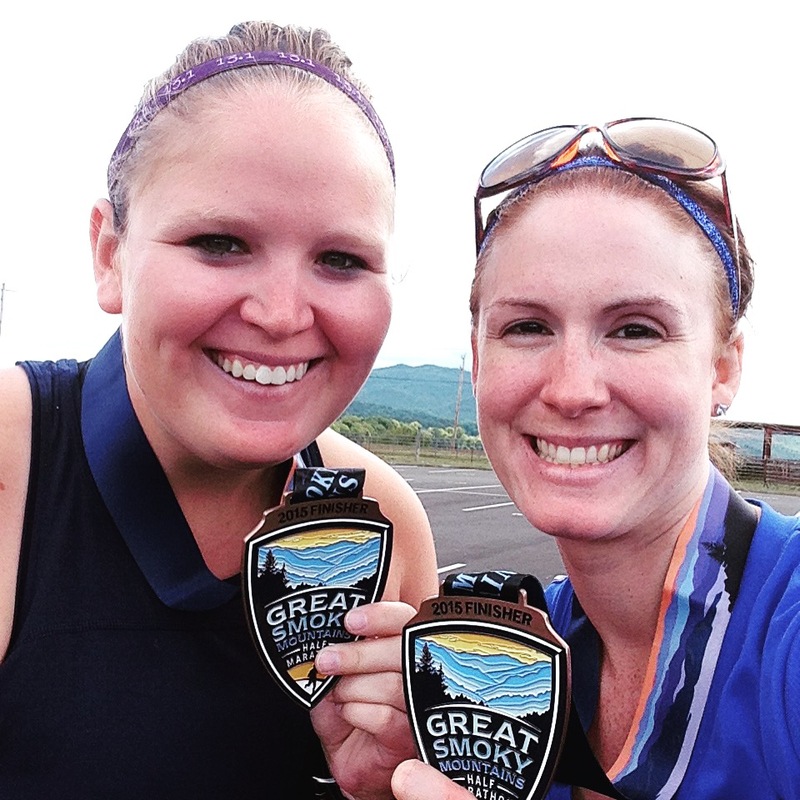 It isn’t very often that a race is in Townsend, and an old friend from Nuun that I met in Seattle now works for Vacation Races so it was just a win-win. I had an extra entry so I invited my coworker to do it with me with TWO days notice. Yes, she’s crazy. I obviously had not trained for the race but knew that I could walk it and enjoy it. I was able to visit the expo briefly on Friday to get my bib and talk to a few folks. The race began on the campus of the school that I work at and went all the way past my house so it was literally like running home from work. Crazy stuff. It was a great race and had an awesome medal. I carried a handheld water bottle the entire time since they don’t utilize cups at their water stops but each stop had plenty of water and most of them had things like bananas, oranges, and Honey Stingers. After spectating last year, I was glad to see that the field had more than doubled in size, making it a great time. I will definitely be doing this race again. really awesome. 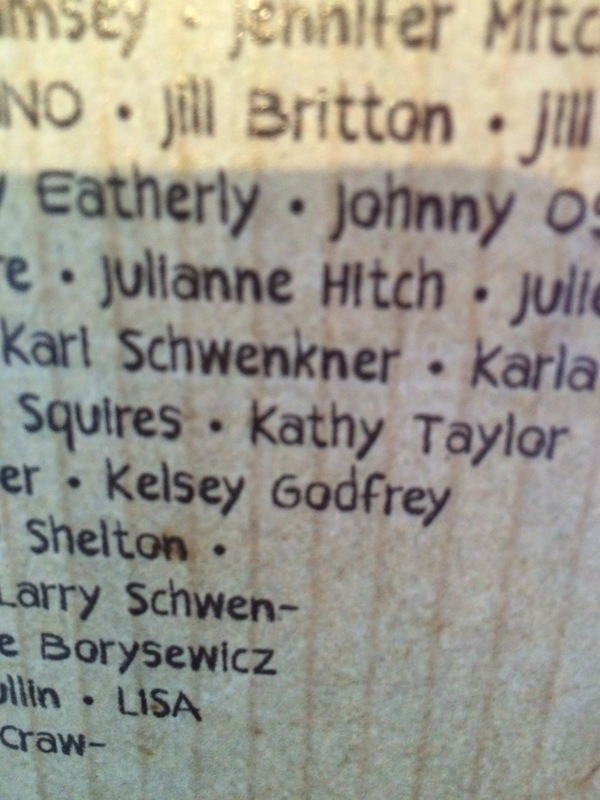 can you find my name? 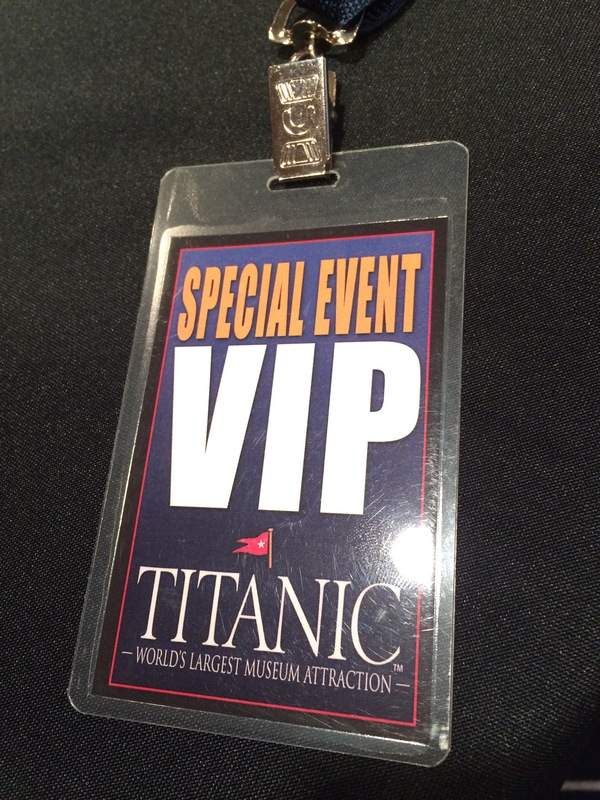 Last night I went to a special event for teachers at the Titanic attraction. It counted as professional hours but was a great experience since we got a personal tour of the ship and museum, as well as a lot of hands on training on how to incorporate Titanic in our classrooms. We had a fantastic dinner catered to us and we felt pretty fancy with our super special VIP passes. I’ve always loved Titanic and it was great learning about so many different people that were on board and debunking a few myths. We even met the owner whose husband was the second person to command an exploration of Titanic. Pretty neat stuff! Hopefully I will be blogging more in the month of September, but if I don’t then just wake me up when September ends. I’m looking forward to fall and seeing the leaves change with the cooling temps. Thanks again for all of the support you guys have shown me here lately. It reminded me of why I enjoy blogging so much in the first place. Y’all are the best. 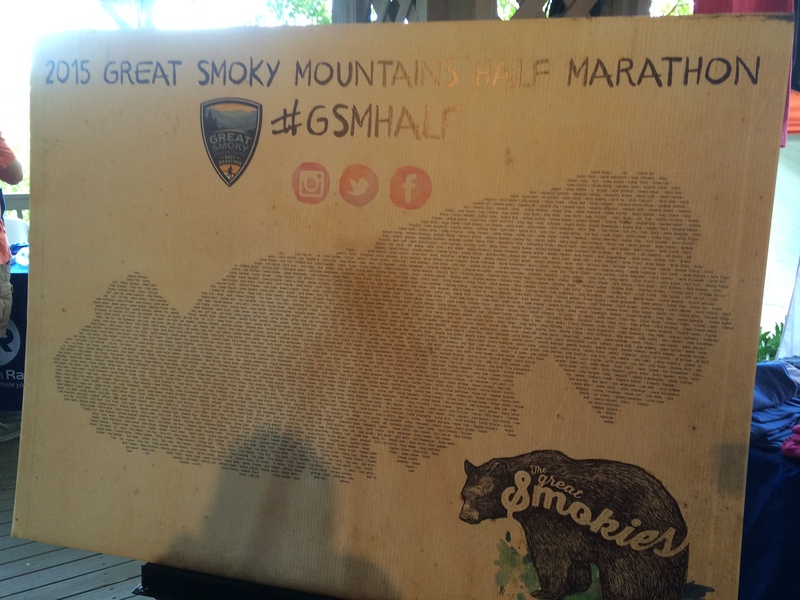 This entry was posted in Uncategorized and tagged fat girl running, fun things, great smoky mountain half marathon, life, titanic, working out with friends by thegogirlblog. Bookmark the permalink.